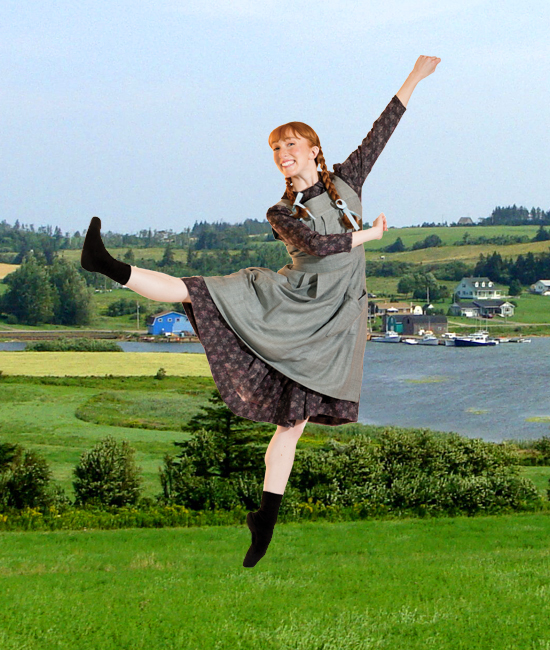 Anne of Green Gables – The Ballet is a playful, colourful and evocative production that will transport audiences to early 20th century Atlantic Canada. Based on the beloved Canadian novel by Lucy Maud Montgomery, Anne of Green Gables – The Ballet follows the adventures of Anne Shirley, an orphan girl sent to live on a farm in the fictional town of Avonlea, Prince Edward Island. Anne Shirley, a young orphan from the fictional community of Bolingbroke, Nova Scotia (based upon the real community of New London, Prince Edward Island), is sent to live with Marilla and Matthew Cuthbert, siblings in their fifties and sixties, after a childhood spent in strangers' homes and orphanages. Marilla and Matthew had originally decided to adopt a boy from the orphanage to help Matthew run their farm at Green Gables, which is set in the fictional town of Avonlea. Through a misunderstanding, the orphanage sends Anne instead. Anne is highly imaginative, eager to please and, at times, quite a dramatic individual. However, she is defensive about her appearance, despising her red hair and pale, thin frame. She is often quite talkative, especially when it comes to describing her fantasies and dreams. At first, stern and sharp Marilla says Anne must return to the orphanage, but after much observation and considering, along with Matthew's strong liking to Anne, she decides to let her stay. As a child of imagination, Anne takes much joy in life and adapts quickly, thriving in the close-knit farming village. Her imagination and talkativeness soon brighten up Green Gables.